კვალიფიკაცია/აკადემიური ხარისხი: იურიდიულ მეცნიერებათა კანდიდატი, აკადემიურ დოქტორთან გათანაბრებული, 2006 წ.
კვალიფიკაცია/აკადემიური ხარისხი: იურისტი, მაგისტრთან გათანაბრებული, 1997 წ.
თანამონაწილეობით ჩადენილი დანაშაული, დანაშაულის კვალიფიკაციის პრობლემები, სისხლის სამართლის კანონის მოქმედების ფარგლები. 2004-2006 წელი ბათუმის შოთა რუსთაველის სახელმწიფო უნივერსიტეტის სისხლისა და სამოქალაქო სამართლის კათედრის მასწავლებელი. 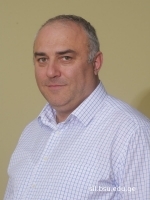 Adam Makharadze, Omar Makharadze, ‘Freedom of Religion and Criminal Liability for the Religious Insults’, Refereed Humanities and Social Sciences Review, ISSN: 2165-6258, vol.06, N02, http://www.universitypublications.net/hssr/0602/index.html. ადამ მახარაძე, მრგვალი მაგიდა თემაზე: ,, საჯარო და კერძო სამართლის ურთიერთგამიჯნვა", ზეპირი გამოსვლა. კიევი, 13-15.12. 2016. Adam Maxaradze, Participated in the international conference: The role of ADR in resolving International Private-law disputes involving parties from the South Caucasus Countries, Batumi, Georgia, 20011. 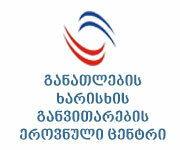 Project name: ,,European Law in the South Caucasus – EULISC Batumi” - ვარ პროექტის წარმდგენი. Financing: Education, Audiovisual and Culture Executive Agency, Lifelong learning: Jean Monnet Programme. 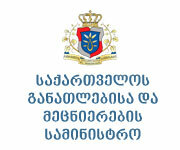 Project number:542911-LLP-1-2013-1-G-AJM-MO, Grant Agreement number: 2013-457/001-001. პროექტის ხანგრძლივობა 2014-2016 წწ. 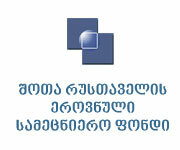 Project name: ,,Network for developing the European Studies in Caucasus”. Project number: 565086-EPP-1-2015-1-EE-EPPJMO - NETWORK. Financing: Erasmus+: Higher Education – Jean Monnet - პროექტის ხანგრძლივობა 2015-2018 წწ. 5-7 ივლისი 2016. 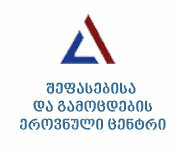 USAID ის სერთიფიკატი ტრენინგში ,,სამართლის სწავლების მეთოდოლოგია და სამართლებრივი წერა".